Vote.org uses technology to simplify political engagement, to increase voter turnout, and to strengthen American democracy. In 2016 Vote.org debuted its innovative E-Sign technology, allowing citizens to complete, sign, and transmit their vote-by-mail applications directly from their smartphones or desktops. 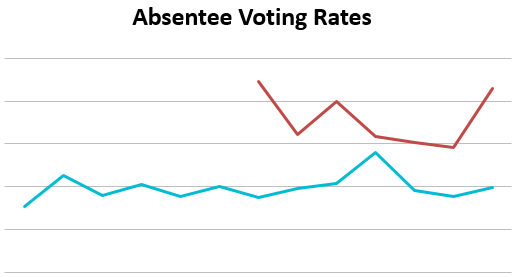 Although there was no control group for comparison, Vote.org still wanted to know after the election: was E-Sign effective? 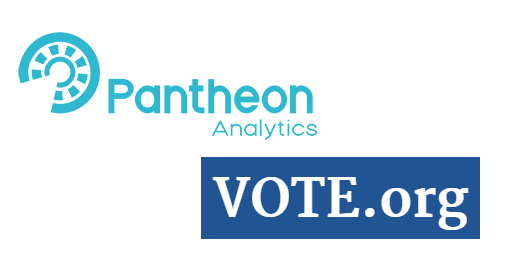 We at Pantheon Analytics used our knowledge of statistical methodology and voter file data to construct a comparison group and perform an analysis of Vote.org’s E-Sign users. The detailed analysis revealed that the E-Sign program had achieved many of its goals, and also pointed to potential improvements that Vote.org could make in the future.